Finding your voice in business is about knowing who you are and expressing what makes you stand out from your competitors. Social Media has allowed brands to communicate more intimately with their market. Previously this was reserved for larger brands that had the resources to invest in campaigns establishing their persona. With the advent of Social Media, brand building is ubiquitous. Audiences are savvier in consuming content in part because they’re engaging with the world in the same way. Consumers know how to leverage their followers to express disgust at a business’ poor customer service. We endorse events and products by tagging and sharing our whereabouts and activities. What we share and like is who we are. 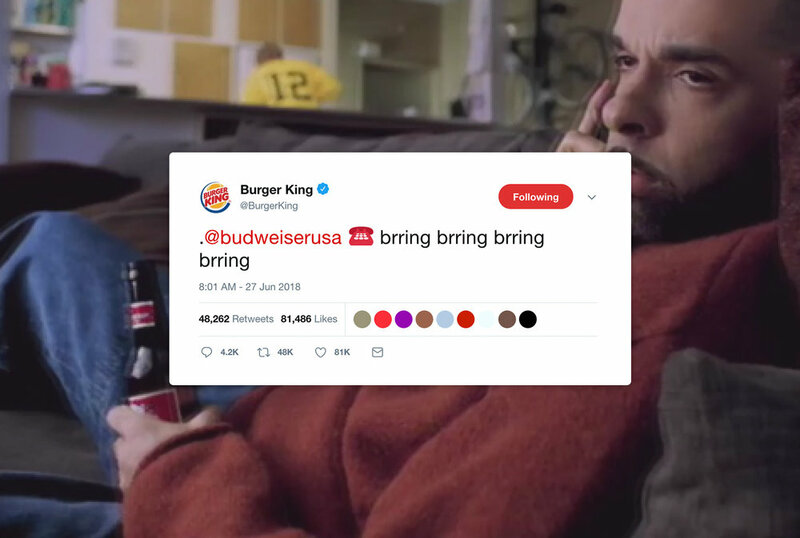 Interestingly whilst people have begun to present themselves as brands, corporations are personifying themselves to engage their market as peers in the world of social. Just like our friends can grate on us with their online mask, it’s important that your brand avoids the same fate. Being too self-promotional can lead to being muted or unfollowed. Being too folksy and familiar can creep people out, particularly when your real-life interactions aren’t congruent. Whilst it’s possible to gain credibility with your engagement on social, it’s important that your products and services back up the talk. Social connection can reaffirm loyalty from your existing market or possibly entice new leads. Ultimately people are still driven by affordability, status and word of mouth when it comes to choosing a product. No amount of smoke and mirrors can overcome that. It’s difficult to engage authentically from behind a brand mask. The social media face should already be an extension of how the company services it’s customers and how the business is staffed. Collaborative Effort: The King of Burgers meets the King of Beers. If you’re creating a folksy feel through your branding, make sure you have the personnel to reply to posts and direct messages. No use creating the impression of intimacy when points of contact lead to unanswered calls or bounce back messages. For one of our clients, it was important that the branding of their company coincided with them adding a dedicated customer service team to field new leads. Social Media is a quicker way of developing a brand personality. 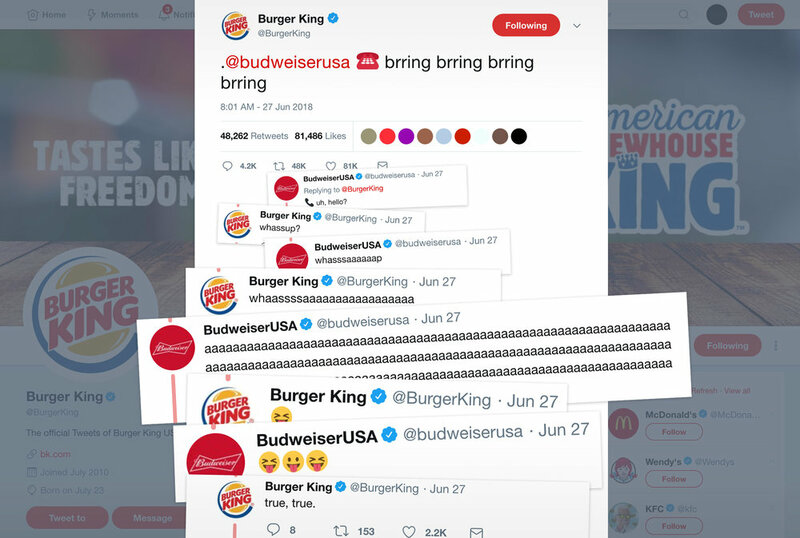 The same way beer companies created a feeling of cheekiness in their commercials, brands can quickly express themselves in how they interact and present to their audience. Today you don’t need airtime during the Superbowl to build a presence with your brand. Snarky tweet replies and cheeky reposts can speak volumes. The tricky part is turning your brand voice into returns for your brand. It’s important to define your objectives on social media. The goals need to align with the broader marketing strategy, outlining the metrics used to measure success is key. Look beyond vanity boosts like retweets and likes and instead examine leads generated, rates of referrals and conversions for each campaign. Ultimately your brand voice should be an extension of your company's business offering. There's no use drawing attention to yourself if what you offer doesn't align with what was promised.